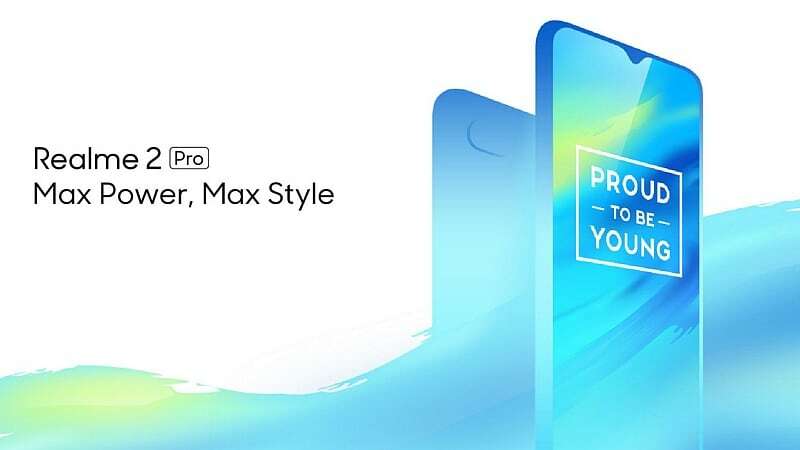 Realme 2 Pro is set to arrive in India on September 27. Now, Flipkart is teasing the launch of the smartphone, at 12:30pm IST, whilst also touting a ‘Dewdrop Full Screen’ display, referring to the notch shape and the taller than usual aspect ratio. The e-commerce site also confirmed the presencce of a Qualcomm Snapdragon 660 SoC. Also, days before its formal debut, the Realme 2 Pro smartphone has now purportedly been spotted on benchmark site Geekbench that highlights the presence of an octa-core Snapdragon 660 SoC and 8GB of RAM. This is notably twice that of the top-end variant of the Realme 2 that has 4GB of RAM and a Snapdragon 450 SoC. At the time of the launch of the original Realme 1 handset, the company had said it is targeting the price band under Rs. 20,000. The dewdrop design for the display notch is clearly visible in the image above, tweeted by Realme. In the meanwhile, the Geekbench listing allegedly shows the Realme 2 Pro as Oppo RMX1807. This is likely to be the codename of the upcoming smartphone. Further, the listing shows that there is a Snapdragon 660 SoC, coupled with 8GB of RAM. There is also a mentioning of Android 8.1.0 Oreo. Coming toward the single- and double-core performance results, the Realme 2 Pro in the Geekbench listing is found to have 1,452 as the single-core score and 5,511 as the multi-core score. These are importantly higher than the 793 single-core and 3,882 multi-core scores of the Realme 2 that we notedin our review. The Geekbench listing was first spotted by 91Mobiles. The score differences between the Realme 2 Pro and Realme 2 are inevitable since both have distinguished hardware. The official video teaser of the next Realme model that was released earlier this week showed a “game-changing” experience. The video also confirmed a waterdrop display and a circular rear-facing fingerprint sensor. Further, it highlighted a dual rear camera setup. The smartphone is expected to have two different variants – with glossy back and matte back options. Moreover, it appeared to have a 3.5mm headphone jack alongside the USB port and loudspeaker grill. To recall, the Realme 2 was launched last month with a starting price of Rs. 8,990. The smartphone runs ColorOS 5.1 on top of Android 8.1 Oreo and features a 6.2-inch HD+ (720×1520 pixels) in-cell display panel along with a 19:9 aspect ratio. It is powered by a Snapdragon 450 SoC, coupled with an Adreno 506 GPU and 3GB as well as 4GB RAM options. The smartphone has a dual rear camera setup that includes a 13-megapixel primary sensor along with an f/2.2 aperture and a 2-megapixel secondary sensor along with an f/2.4 aperture. On the front, there is an 8-megapixel selfie camera along with an f/2.2 aperture and an 85-degree wide-angle lens. It has 32GB and 64GB of onboard storage that is expandable via microSD card (up to 256GB). Besides, the smartphone packs a 4,230mAh battery.